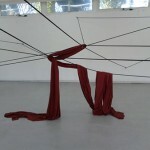 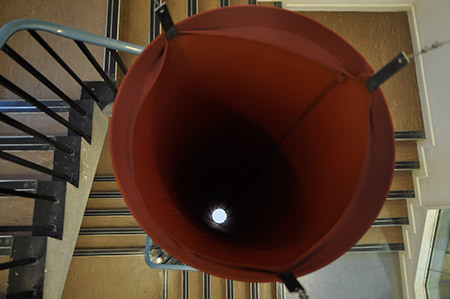 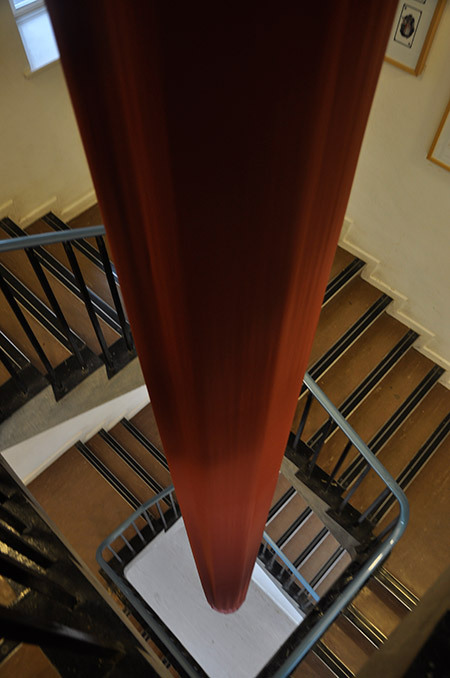 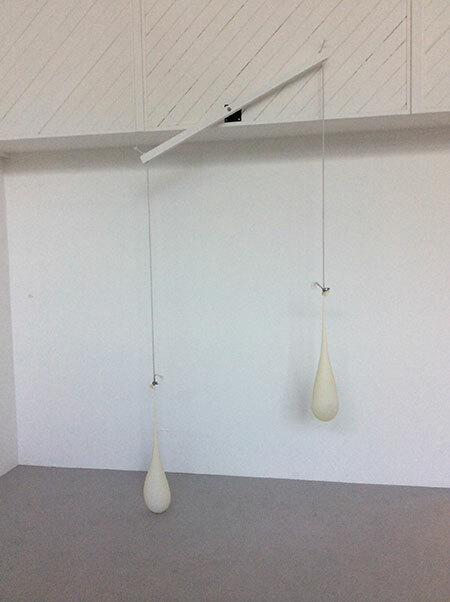 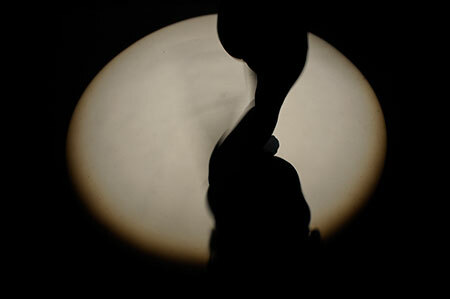 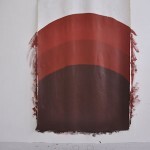 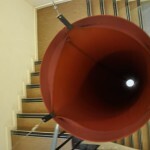 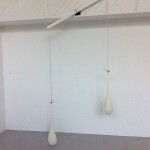 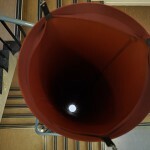 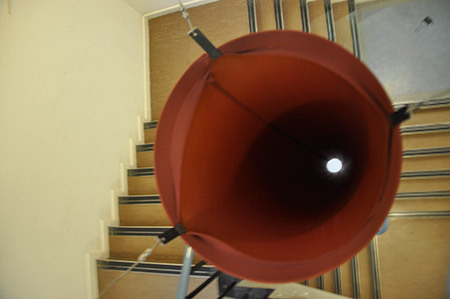 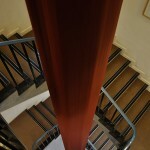 Tube installation: 800x56x40cms stretches between three floors in a stairwell. 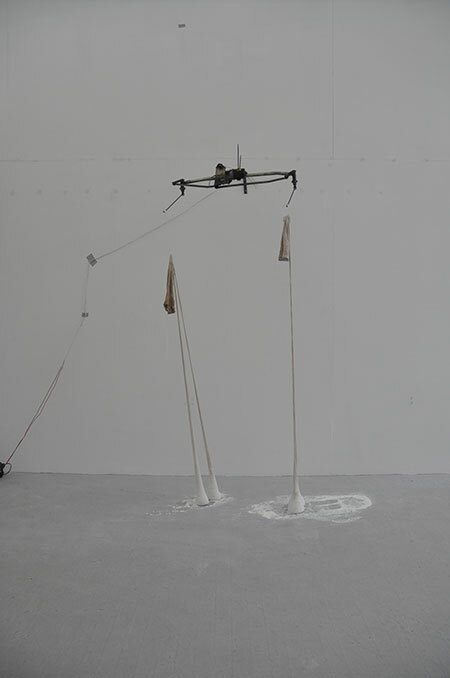 It is weighted at the bottom and embodies muscularity and somatic resonances of the living body. 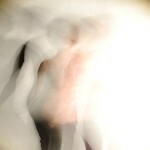 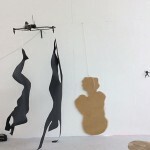 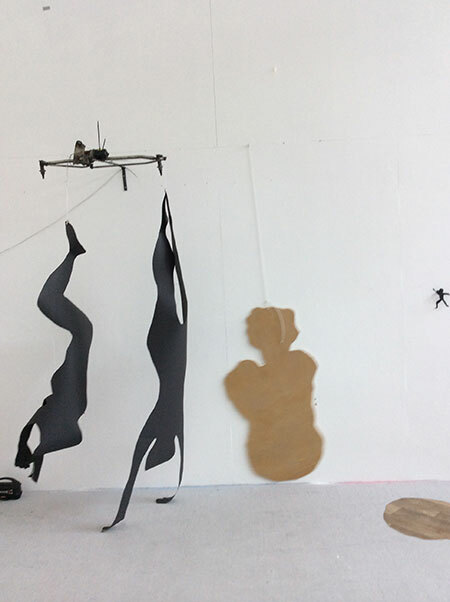 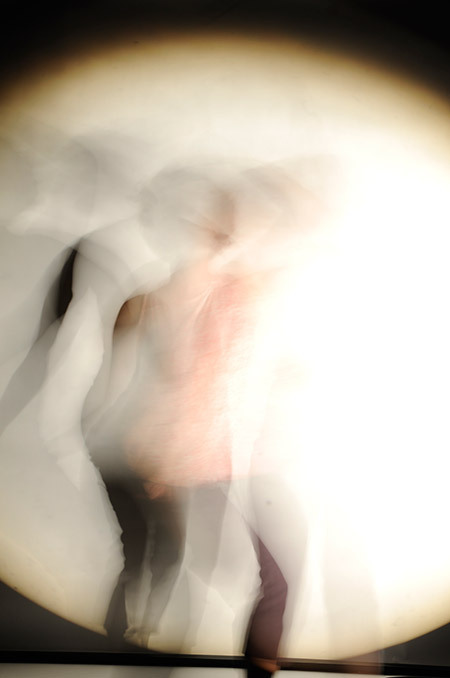 Move 1 & 2 are a series of digital images which abstract movement and the body and address the idea of archiving movement. 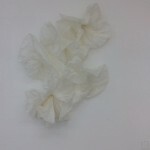 These were made into large digital prints. 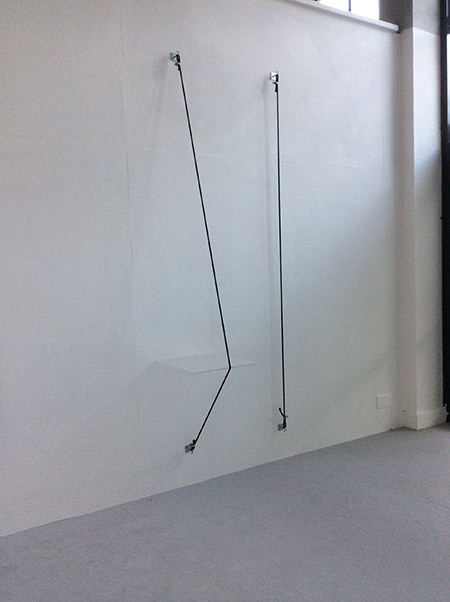 These can also be printed full size/human size onto transparent silk so that viewers passing in front or behind would interact and is part of the installation. 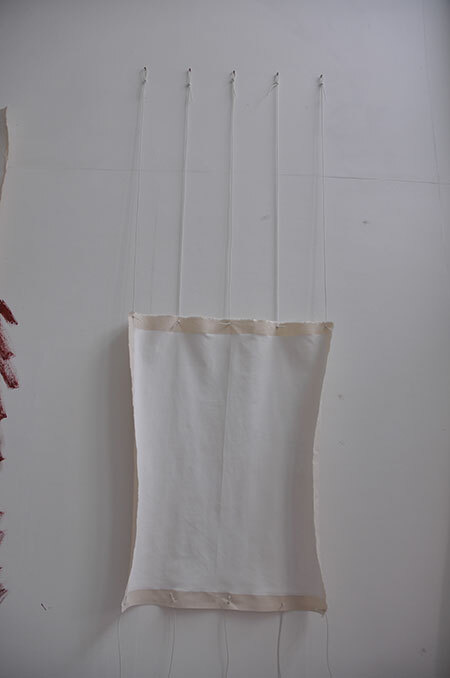 Conversation Piece: 224x74x70cms. 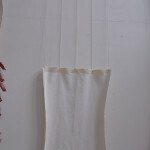 Women’s tights filled with corn flour, elastic, windscreen wiper motor and mechanism. 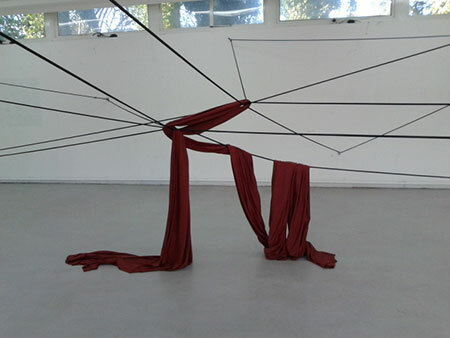 The motion of the mechanism animates the ‘legs’ and the flour leaves traces of the movement as is seeps out of the tights. 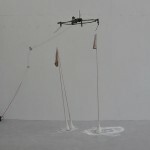 The motion of the legs and their subtly changing relationship is both mesmerising and engaging. 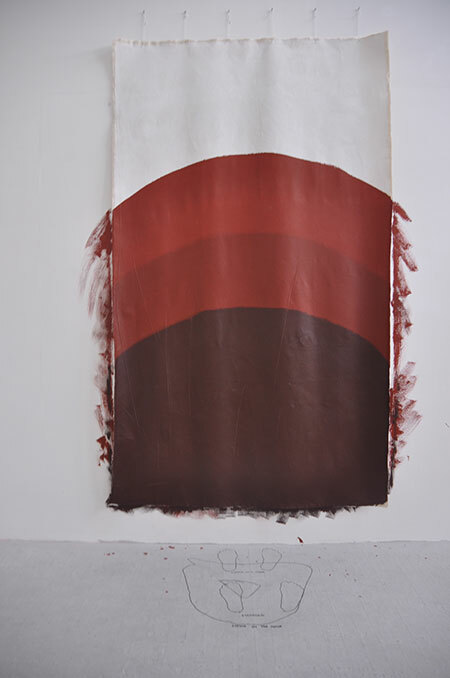 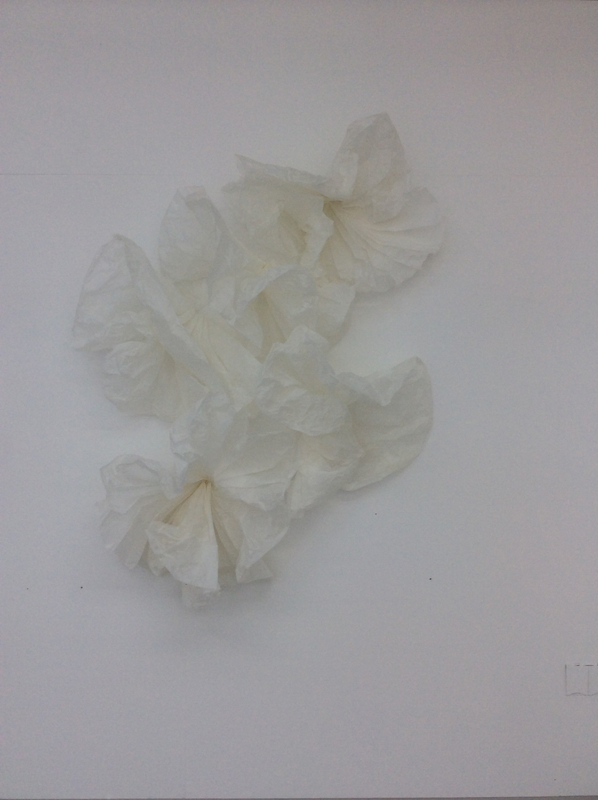 Flex: 298x114x50cms is a wall piece. 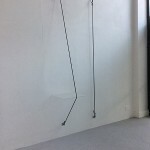 Elastic shock cord and Perspex.